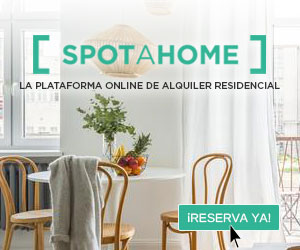 Spotahome is a Spanish startup that offers a totally different model that seeks to revolutionize the real estate sector worldwide. Its marketplace offers the most complete list of apartments, rooms, studios and residences for non-vocational rental properties of over 30 days. Book through a booking platform with a 100% online process, without visits, saving everyone time and money, both for tenants and owners. The Spotahome team itself is in charge of visiting and personally checking all the properties they publish. They take professional photographs, plans, record high definition videos of the property and the neighborhood, and include very detailed descriptions.